Konica Minolta is headed for a revitalisation of its business with the introduction of IT-focused products targeting a wide cross-section of industries and business solutions created primarily for Small and Medium Enterprises (SMEs). 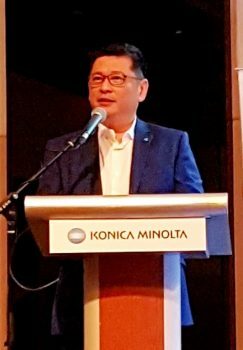 At the recent Konica Minolta Solutions Day event in Petaling Jaya, the company introduced a total of seven products and solutions in this new portfolio. ‘Shinka’, which means ‘evolution’ in Japanese, is designed to transform this 145-year old company into a digital technology company, whilst handholding its SME customers to migrate into the Industry 4.0 economy. To this end, the company showcased enhanced and sometimes, revolutionary reiterations of its production printers, office solutions, Robotics, Mobotix, ERP solutions and managed IT solutions. It also previewed two new future vertical products – Woundaide and Oil & Gas Monitoring solution. Konica Minolta’s core imaging, material, nanofabrication and optical technologies have now been expanded to include nursing care, medical, manufacturing, retail sales distribution and commercial industrial printing. For the near future, the company is confident of achieving 5% growth in its core printing automation, and a positive growth ratio for its new IT-focused business. 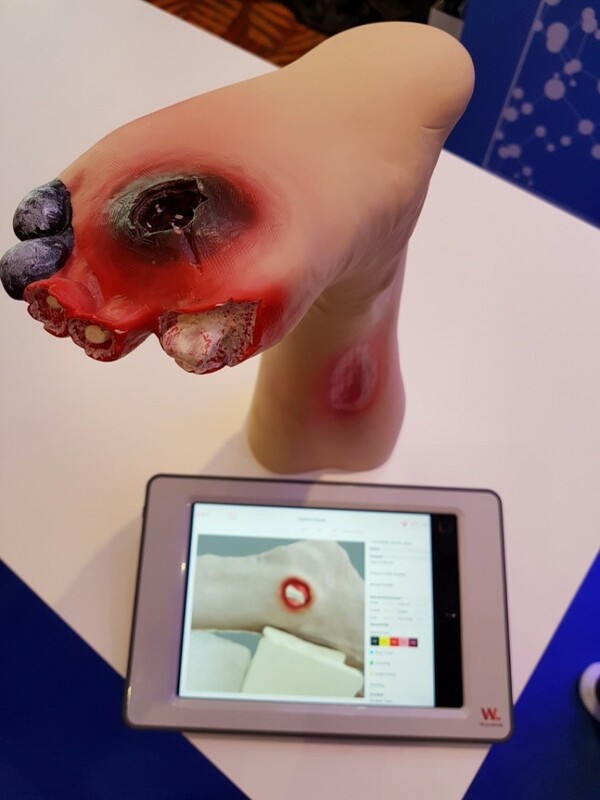 Konica Minolta’s Woundaide is a digital handheld wound measurement solution. It takes photos and 3D measurements of depth, length, width, surface area and volume of wound. The non-contact measurement decreases the risk of infection and allows data capturing independent of human judgement nor user variability. In Asia, Woundaide has been deployed in Mount Elizabeth hospital, Singapore while in Malaysia, it is being prototyped in one or two hospitals. As one example of use, it is certainly apt to test this in Malaysia, having earned the unfavourable statistics of having the highest rate of diabetes in Asia, to accurately monitor and manage chronic wounds before they lead to drastic complications. “In terms of developing proprietary next-generation technology, we are working to attract sizeable partnership investments while concurrently capitalising on research and development as well as recruiting and providing training to create a pool of staff able to create pioneering products,” continued Lim. The USD8.8 million in sales group, which was founded in 1873, and operates in 150 countries worldwide, was established in Malaysia 37 years ago. From information management to technology-enabling tools, its Malaysia arm aims to create value for the society of the future via solutions that support mobility and enhance productivity. A demo was made with its Mobile Robots, which perform repeatable tasks, easing heavy workload. 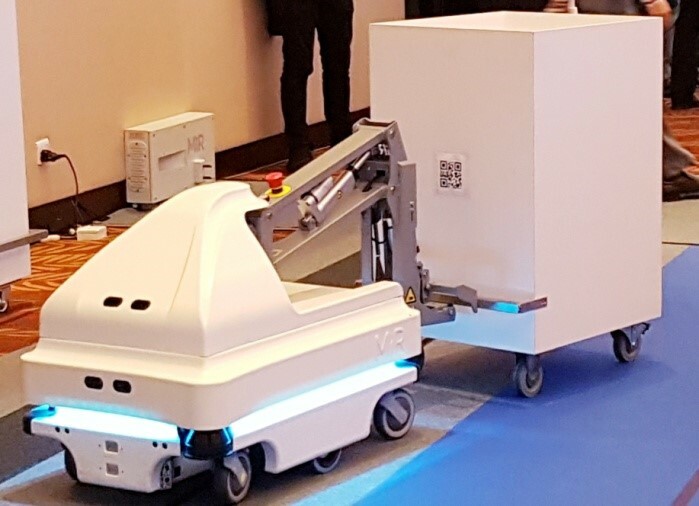 Mobile Industrial Robots (MiR) is a leading manufacturer of Collaborative Mobile Robots which Konica worked with to customise in its prototype for certain customers to automate in-house load and transportation. It is true that companies can be crippled by the very same things that once made them strong but this 145-year old behemoth is certainly cognisant not to be swept away. Instead, it realises that the key is to invest in disruptive technologies that appeal to mainstream sectors to realise long-term profits and stay relevant.